Aste-Salazar H., Hurtado A. The affinity of hemoglobin for oxygen at sea level and at high altitudes. в€’ Amer J Physiol. в€’ 1944. в€’ 142: в€’ P. 733в€’ 743. Cruz J.C. et al. Phlebotomy improves pulmonary gas exchange in chronic mountain polycythemia // Respiration. в€’ 1979. в€’ 38: в€’ P. 305в€’ 313. Dayton L.M. et al. Symptomatic and pulmonary response to acute phlebotomy in secondary polycythemia // Chest. в€’ 1975. в€’ 68 (6). в€’ P. 785 в€’ 790. Eaton J.W., Skelton T.D., Berger E.M. Survival at extreme altitude: Protective effect of increased hemoglobin-oxygen affinity // Science. в€’ 1974. в€’ 183. в€’ P. 43 в€’ 44. Hebbel R.P. et al. Hemoglobin oxygen affinity and adaptation to altitude: Evidence for pre-adaptation to altitude in humans with left-shifted oxyhemoglobin dissociation curves// J. Clin. Invest. в€’ 1977. в€’ 60. в€’ P. 213 в€’ 228. Hebbel R.P. et al. Human llamas: Adaptation to altitude in subjects with high hemoglobin oxygen affinity// J. Clin. Invest. в€’ 1978. в€’ 62 : в€’ P. 593 в€’ 600. Houston C.S., Cymerman A. Hypoxia: the tolerable limits: Operation Everest. в€’ II. в€’ In Hypoxia. The Tolerable Limits /Eds. J.R. Sutton, C.S. Houston, Coates G. в€’ 1988, Benchmark Press: Indianapolis, IN. в€’ P. 3 в€’ 8. 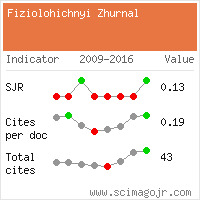 Samaja M., Veicsteinas A., Cerretelli P. Oxygen affinity of blood in altitude Sherpas // J. Appl. Physiol. в€’ 1979. в€’47: в€’ P. 337 в€’ 341. 9. West J.B., Alexander M. Kellas and the physiological challenge of Mt. Everest // J. Appl. Physiol. в€’ 1987. в€’ 63 (1). в€’ P. 3 в€’ 11. 10. West J.B., High Life: A History of High-Altitude Physiology and Medicine. в€’ American Physiological Society Oxford University Press. в€’ 1998. West J.B., Wagner P.D. Predicted gas exchange on the summit of Mt Everest // Respir. Physiol. в€’ 1980. в€’ 42. в€’P. 1 в€’ 16. Winslow R.M., Monge C.C., Statham N.J. In vivo blood oxygen affinity in high altitude natives (Abstract) , in Hypoxia: Man at Altitude / Eds. J.R. Sutton N.L. Jones, C.S. Houston. в€’ 1982, Thieme-Stratton: New York, NY. в€’ P. 202. West J.B. Man on the summit of Mount Everest , in High Altitude and Man / Eds. J.B. West, S. Lahiri. в€’ 1984, American Physiological Society: Bethesda, MD. в€’ P. 5 в€’ 18. Zubieta-Castillo G., Zubieta-Calleja G.R. www. geocities. com\zubietaippa. 1996. Zubieta-Calleja G.R., Zubieta-Castillo G., Zubieta-Calleja L., Zubieta N. Exercise performance of Bolivian Aymara in 3 conditions: at La Paz 3510 m, breathing a hypoxic mixture simulating Chacaltaya and at Chacaltaya 5200 m. (Abstract). HAMB, 2002. 3 (1). в€’ P. 114. Zubieta-Castillo G.R., Zubieta-Calleja G.R., Zubieta-Calleja L., Zubieta N. Bolivian Aymara that played soccer at 6542 m maintain higher oxygen saturation and lower oxygen uptake during maximal exercise (Abstract).HAMB, 2002. 3 (1). в€’ P. 114. Zubieta-Castillo G., Zubieta-Calleja G. New Concepts on chronic mountain sickness // Acta Andina, 1996. в€’ 5. в€’P. 3 в€’ 8. Zubieta-Castillo G., Zubieta-Calleja G.R. Chronic mountain sickness and miners (Spanish). Revista de la Academia Nacional de Ciencias de Bolivia в€’ 1985. в€’ 4: в€’ P. 109 в€’ 116. 19. Zubieta-Castillo G., Zubieta-Calleja G. Pulmonary diseases and chronic mountain sickness (Spanish). 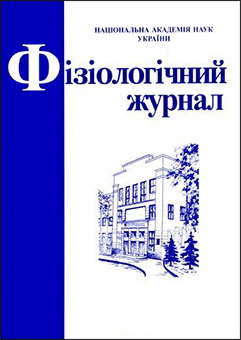 Revista de la Academia Nacional de Ciencias de Bolivia в€’ 1986. в€’5. в€’ P. 47 в€’ 54. 20. Zubieta-Calleja G.R., Zubieta-Castillo G., Zubieta-Calleja L., Zubieta N. Exercise performance in chronic mountain sickness (CMS) patients at 3510 m. (Abstract) // HAMB в€’ 2002. в€’ 3 (1). в€’ P. 115. Zubieta-Castillo G., Zubieta-Calleja G. Triple hypoxia syndrome // Acta Andina в€’ 1996. в€’ 5 (1). в€’ P. 15 в€’ 18. Zubieta-Castillo G., Zubieta-Calleja G. The triple hypoxia syndrome at altitude (Abstract) // Amer. Rev. Res. Dis. в€’ 1988. в€’ 137 (4). в€’ P. 509. Zubieta-Castillo G., Zubieta-Calleja G.R., Zubieta-Calleja L. Exercise performance in a woman with CMS, following triple hypoxia syndrome treatment (Abstract) //HAMB. в€’ 2002. в€’ 3 (1): в€’ P. 114. Zubieta-Calleja G.R., Z.-C., G.,CMS exercise (Abstract). в€’1992.